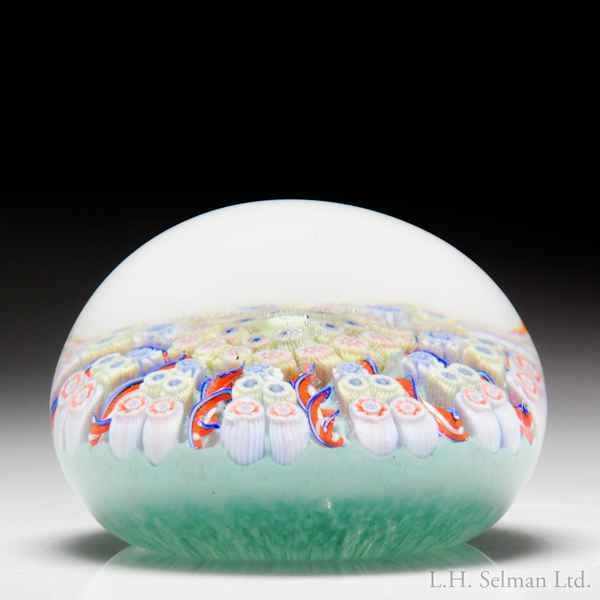 Strathearn millefiori and twists paperweight. A central yellow and green millefiori cane is encircled by two concentric rings of yellow, indigo and orange canes from which radiate nine twists that form panels of five canes each. The whole is set on a translucent teal ground. Diameter 2 1/2".